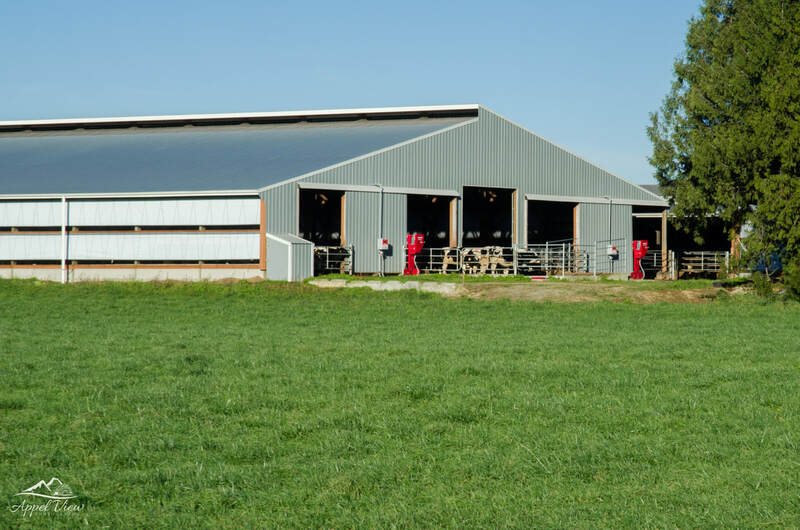 Why and how do we farm, here at Appel Family Dairy? The Island of Jersey is one of a group known as the Channel Islands, situated in the English Channel, a few miles off the coast of France, but belonging to Great Britain. The principal islands of the' group are Jersey, the largest, Guernsey, Alderney, and Sark. The climate is mild and balmy. The exact origin of the cattle on the Island of Jersey is uncertain. Because of the color, however, it has been assumed that they descended from stock on the neighboring section of France, particularly Normandy and Brittany. The fawn color has been attributed to the cattle of Normandy, while the blacker color has been credited to the Brittany cattle. At an early date, however, steps were taken to keep the breed pure by preventing outside cattle coming into the Island. In 1763, an act was passed, which has since been rigidly enforced, and supplemented by further acts, prohibiting the landing of cattle on the Island except for the purpose of slaughter. Even before the enactment of laws, the purity of the cattle was maintained by the persistency with which the people of the Island cling to their own breed. There are about 40,000 cattle on the Island. ​An old local dairy barn with silo and hay elevator. Notice all the windows and the style of them? Those were designed to let as much air flow and light in as possible. ​Modern local dairy. Notice the sides of the barns and the roof. Airflow and light! The sides of the barn have curtains to pull down when needed. ​From flat barns with stanchions, where you walked between the cows to hand milk or place a milking machine, to pit parlors such as herringbone and parallel, where the cows are at eye level, to the latest rotary or carousel style, where the cows rotate around the milker, milking parlors have changed in many ways. This is our parlor, a double ten herringbone. ​The cows enter and exit a side at a time. A rotary or carousel parlor. ​They enter one at a time and when done with their milking, one rotation, they exit. I believe in a permanent agriculture, a soil that shall grow richer rather than poorer from year to year. I believe in hundred-bushel corn and in fifty-bushel wheat, and I shall not be satisfied with anything less. I believe that the only good weed is a dead weed, and that a clean farm is as important as a clean conscience. I believe in the farm boy and in the farm girl, the farmer's best crops and the future's best hope. I believe in the farm woman, and will do all in my power to make her life easier and happier. I believe in a country school that prepares for country life, and a country church that teaches its people to love deeply and live honorably. I believe in community spirit, a pride in home and neighbors, and I will do my part to make my own community the best in the State. I believe in the farmer, I believe in farm life, I believe in the inspiration of the open country. I am proud to be a farmer, and I will try earnestly to be worthy of the name.